Eddie has a new toy! For this week's food post I am delighted to welcome my online friend Laura, who will be sharing a recipe. This lady is really quite exceptional! She is friendly, smart and talented in many ways. Not only is she amazing in the kitchen, she had been sewing her own lovely dresses lately. Laura is originally from my city (Toronto) but has followed her dream and is currently living in France! So I should add the word 'brave' to her long list of attributes! Check out her blog where she takes us along on her very interesting journey. 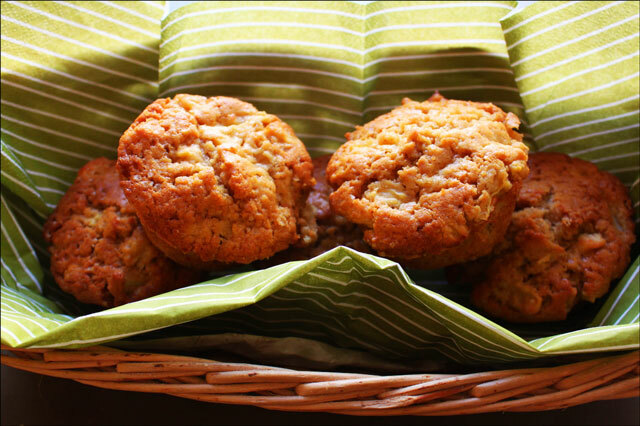 I was thrilled when she offered to share her recipe Apple Cinnamon Muffins, and while I won't be enjoying her exact ones, I will be enjoying her exact ones! You know what I mean? I have all the ingredients needed already, so you can guess what we'll be having this week-end. Can't wait to smell the aroma these are sure to emit. Perhaps you would like to bake some too. Muffins! My absolute favourite thing to eat in the entire universe! One evening I realized that there was almost nothing left in the house for breakfast. I had a couple of apples on hand and I always have flour on hand, so I whipped these up! They were way too sweet for my liking but still so divine so I tweaked them a little to be perfect....the way muffins are intended to be. So please make these, enjoy them, devour them for breakfast or lunch or dinner or all three. And then visit me in my (now imaginary) bakery in ten years time to eat them whenever you just don’t feel like whipping them up yourself. Have a wonderful Food Friday and without further ado, here is the recipe! Stir together the flour, baking powder, baking soda and salt. Add in the apples to coat them. 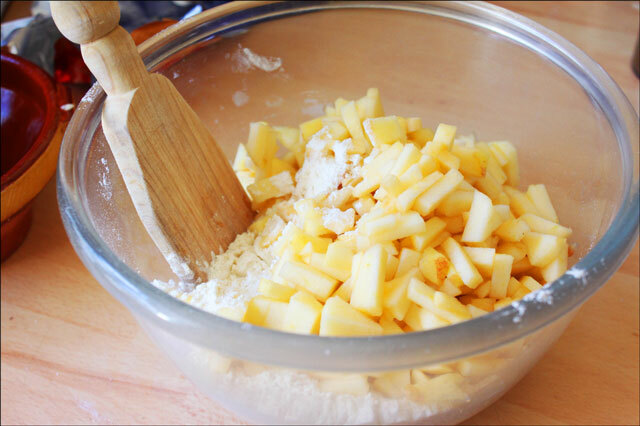 You need to coat the apples in the flour, rather than dumping them in the batter at the end, so they won’t sink to the bottom of the muffins during baking. Set the flour and apple mixture aside and take out a larger bowl. 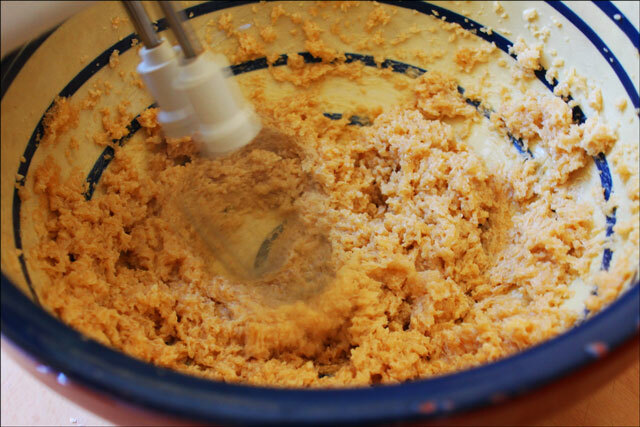 With an electric beater or really strong muscles, beat together the sugar and butter until they are fluffy. 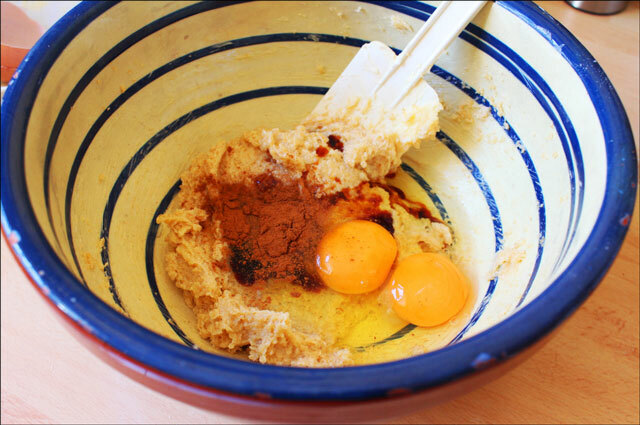 Add the eggs, vanilla and cinnamon to the sugar and butter and beat everything together thoroughly. 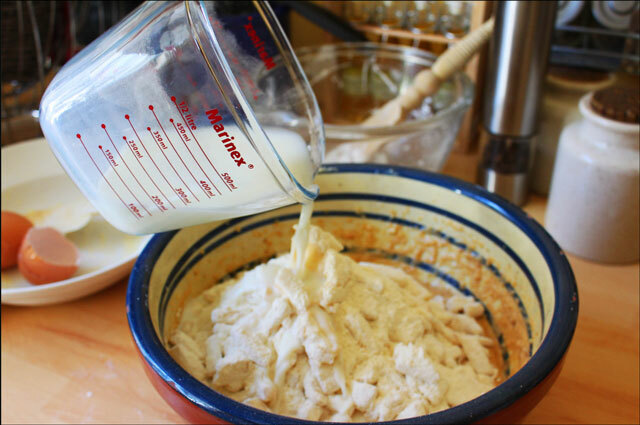 Dump the flour/apple mixture into the butter mixture along with the milk and stir everything together (not using the electric beater). Stir just until you don’t see any more flour. 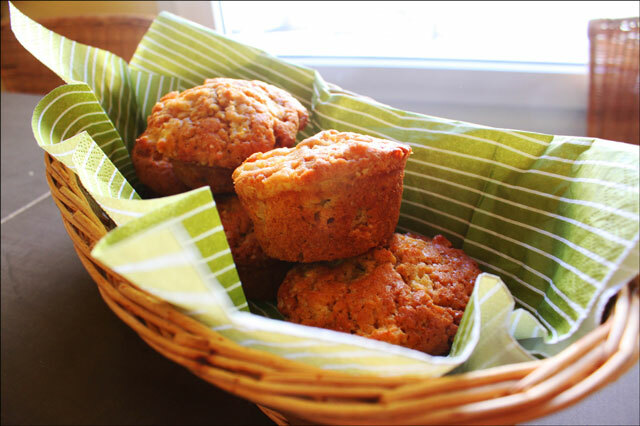 The muffins with remain flaky if you don’t stir too much which is what you want! Evenly distribute the batter into 12 muffin cups and bake the muffins for 23 minutes at 350 degrees F.
A humongous thanks to the wonderful Loulou for welcoming me to her blog today! I am a huge fan of Loulou and I am so grateful to connect with all of her readers! Thank you so much for this recipe Laura. They look delicious and I can't wait to try them! And, without question, I will be there visiting your future bakery one day! Oooh, another great blog to follow – and a great recipe! Will try it out! Thanks so much Loulou for hosting me!! I know I am a day late and sorry about that but I just put the link on my blog! Have a great weekend!! Thanks for visiting my blog today. About the gloves… I have a pattern! I found my grandma’s paper pattern that she had traced on an old file folder. I don’t have instructions, but I think you’d figure it out. I thought I could scan the pattern and email it to you, but it won’t fit on my scanner. So, if you want the pattern, just email me your mailing address and I will be happy to share! How sweet of you Jenny. Thank you for your kind offer, however, after I left the comment on your post, I became fixated on glove making and then realized I had searched only Canadian Ebay vendors. Once I widened my search I found a few glove patterns from the US and I have a bid in on one. The pattern is from the 60s and includes a few hats too, so I hope I get it! Thanks again, my friend. These look so delicious! Apple-cinnamon is one of my favorite flavors, and I can’t wait to try making these! Looks like a great recipe. I love all things apple. I’ll come back to tell you !! Hi Flo :) I hope they turn out nicely for you!